I must have this. 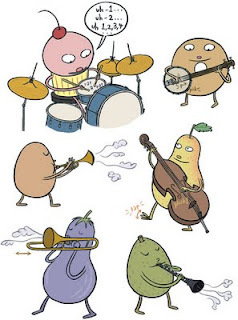 I love graphic novels, I love foodie books, and I adore the illustration you shared. OMG. How wonderful is this book? 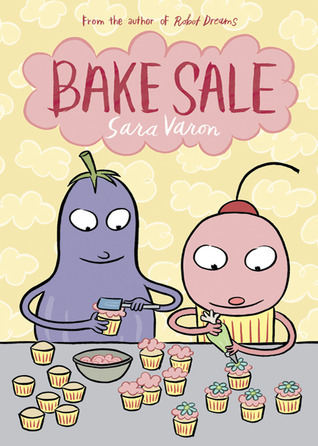 A graphic novel about a cupcake! I love the idea. GAH! LOVE IT! What a cute idea. Haha! This book looks like so much fun to read! I love food characters, really cute! What a neat group of Characters. Yes, I would love to meet the cupcake baker. Thanks for sharing it did bring a smile to my heart. What fun! I love those drawings. SO much fun! I love the idea and the illustrations. Thanks to you, I read and reviewed the book. I agree that I was more interested in the drawings and food people than the confusing lessons for children.